"Manitu" by April Howland, http://howlandstudios.com/, will be sold at the Dinner with Wolves auction. "Shadowland," by David Lash will be auctioned at the Dinner with Wolves 2019. Dinner with Wolves will introduce guests to the plight and beauty of the Mexican gray wolf, the most endangered gray wolf in the world. At the end of 2017 there was a minimum of 114 Mexican gray wolves in the wild. Guests will learn how their support can save this special animal within our own state boundaries. Mingling mere feet from the wolves’ enclosures, guests attending Dinner with Wolves will be up close and personal with several Mexican gray wolves now living at the Southwest Wildlife Conservation Center, along with other native wildlife including black bears and mountain lions. Seats for Dinner with Wolves are priced at $250. Under IRS guidelines, we are required to disclose an estimate of goods or services in return for contributions over $75.00. The estimated fair market value of goods and services received for the Dinner with Wolves event is $100. 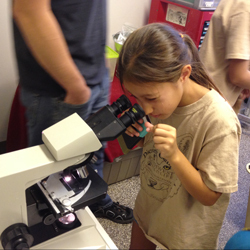 The value of your donation is $150 per registration. 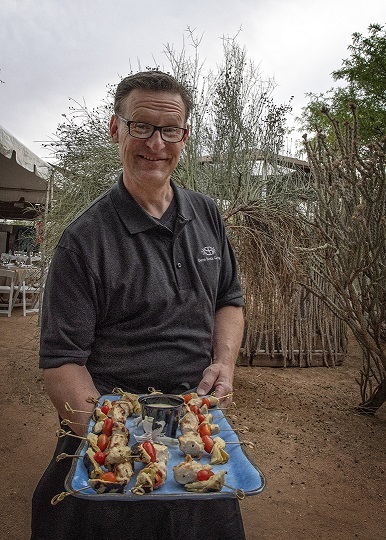 The intimate evening will begin at 4:30 pm at Southwest Wildlife Conservation Center in north Scottsdale, near Rio Verde. 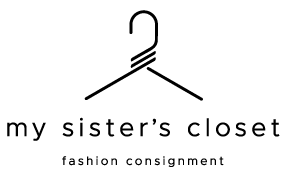 A private bus is provided and will leave promptly at 3:45 p.m. from My Sister's Closet Lincoln Village at 6204 N Scottsdale Rd, Paradise Valley, AZ 85253. 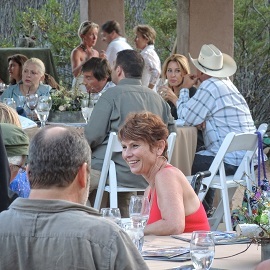 Upon arrival and during the cocktail hour, guests will have the opportunity to stroll Southwest Wildlife Conservation Center to see the resident Mexican gray wolves and the many other native wildlife that find sanctuary at this amazing location. Cocktail hour and tours will be followed by a silent auction, sit-down dinner and presentations by Defenders of Wildlife and Southwest Wildlife Conservation Center. The evening will conclude at approximately 7 p.m. when guests may board the private bus back to My Sister's Closet in Paradise Valley. Please help us make a difference for wildlife by contributing an item, gift certificate, or corporate sponsorship. If you have any questions about the event or would like to learn more about sponsorships, please contact Ann Damiano at adamiano@cox.net or at 602-617-4596 or Pam Wugalter at pamwu1@gmail.com or 602-803-7418. 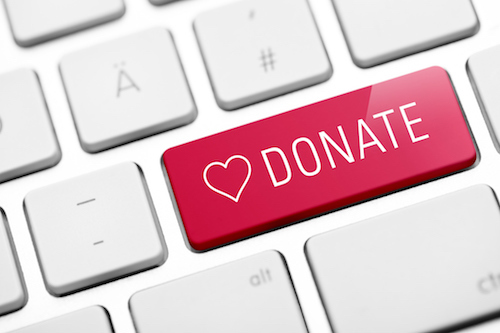 Both Southwest Conservation Center and Defenders of Wildlife are 501(c)(3) nonprofit organizations and depend on your contributions to perform their missions. 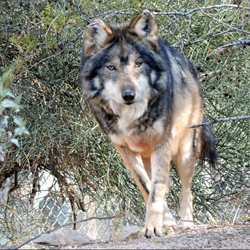 Southwest Wildlife Conservation Center currently provides sanctuary for 14 Mexican gray wolves. 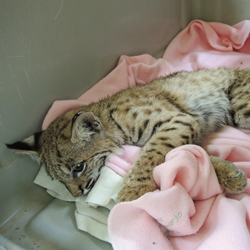 Since 1994, Southwest Wildlife has been committed to saving wildlife, one life at a time. SWCC rescues and rehabilitates wildlife that has been injured, displaced or orphaned. Once rehabilitated, they are returned to the wild. For those that cannot be released, permanent sanctuary is provided. SWCC helps Mexican gray wolf preservation by offering space at the sanctuary to care for part of this species’ captive population. As a holding facility, Southwest Wildlife covers the entire expense of feeding and caring for these animals, with no contribution from either federal or state agencies. 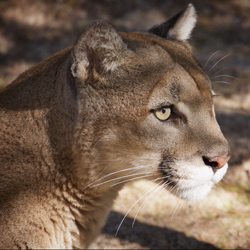 Wildlife care includes proper nutrition, safe and clean enclosures and medical care. SWCC is considered a leader in innovative rehabilitation techniques and a premier destination for intimate wildlife viewing, including the opportunity to hear the beautiful howl of the Mexican gray wolf. Defenders of Wildlife is dedicated to the protection of all native animals and plants in their natural communities. In 1998, the U.S. Fish and Wildlife Service, led by Jamie Rappaport Clark (now president of Defenders of Wildlife), released 11 Mexican gray wolves back into the wild in Arizona. Founded in 1947, Defenders of Wildlife is a major national conservation organization focused solely on wildlife and habitat conservation and the safeguarding of biodiversity. Defenders of Wildlife has played a leading role in helping shape smart policies to conserve wildlife and habitats on public lands and waters. A large portion of our habitat work focuses on our national wildlife refuges, national forests, national monuments, and other public lands and waters, as these areas represent some of the last and best places for wildlife to thrive. The organization also works extensively on private lands in partnership with individual owners as well as state and tribal agencies to encourage people to protect and restore key habitats.